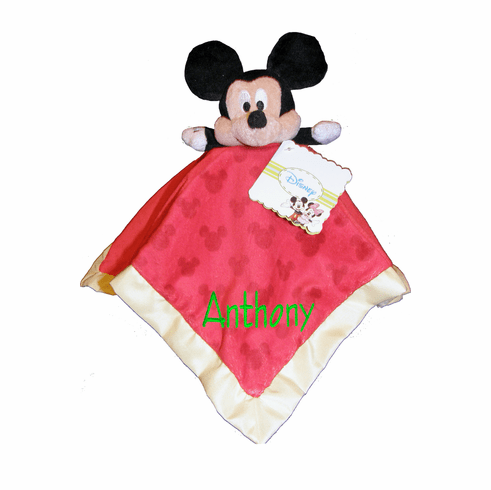 Personalized Disney's Mickey Mouse Snugglie Blankey 14.5 inches of bright red Micky Head print soft minky fabric with satin trim and bright yellow satin underside. Micky's ears make a crinkle sound when baby plays with them. This little snuggly is sure to be a favorite.